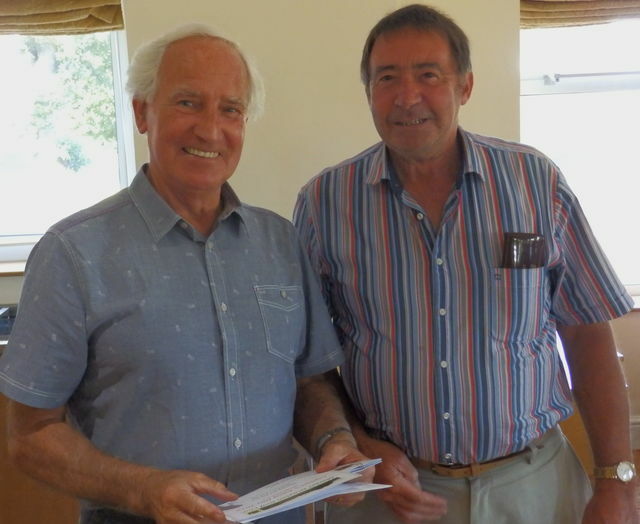 Henlle Golf Club created a sizlingly hot venue for the Captain’s away day on Saturday August 4. The format was a team AM AM with two scores on stroke indexes 1 to 12 and three scores on the remaining holes. 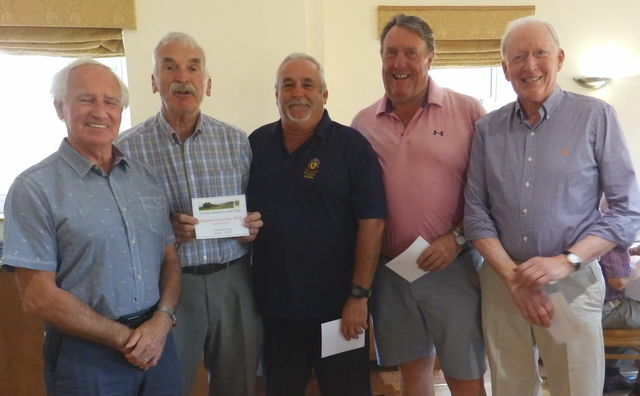 Team winners on the day were Colin Bates, Keith Parry, Richard Wilkinson and Mike Notman seen here receiving their prizes from Captain Lloyd Readhead. 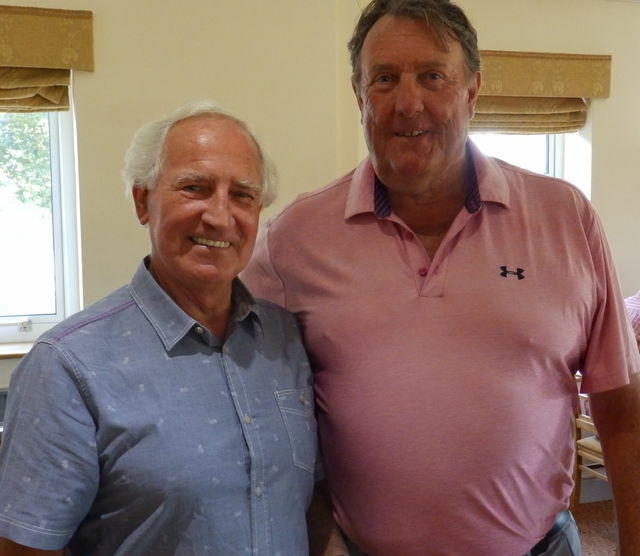 None of whom had played the course before. 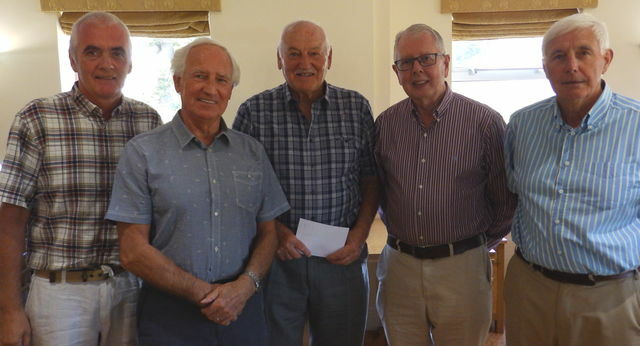 Runners-up were Trevor Mellor, Bill Workman, Bob Oakes and Nigel Gethin. 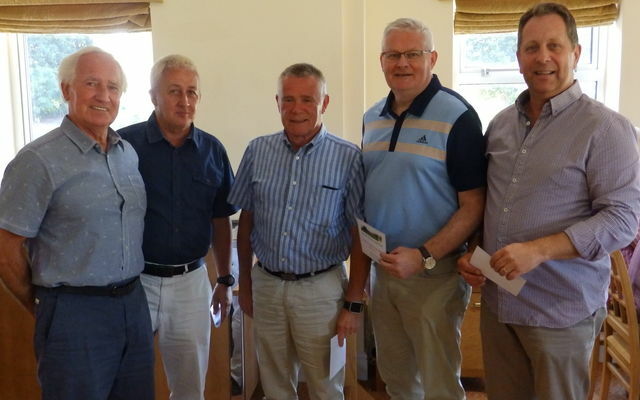 Third place were Rob Bayliss, Peter Sendall, Jim Henshall and Ian MacLeary. Yet another picture of Bob in pink!